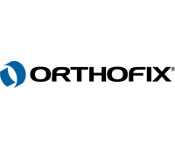 What is now Orthofix International began in Verona, Italy, eventually becoming a group of companies specialized in the design and manufacture of orthopedic and spine medical devices. Orthofix International stemmed from the work of orthopedic researcher Giovanni de Bastiani of the University of Verona in Italy. Toward the end of the 1970s, Bastiani proposed the concept of “dynamization”,based on the natural ability of bone to repair itself. He developed a modular system of external axial frame devices that could be fitted to a bone, allowing micromovement at the fracture site to stimulate bone healing. Bastiani founded Orthofix Srl in 1980 in order to continue the development of the device and launch it as a commercially available product. The company grew steadily into the early 1990s. By then, they had developed relationships with a network of distributors, bringing their products to more than 70 countries. A new milestone came in 1992 when Orthofix listed its stock on the NASDAQ. Acquisitions played a prominent role in their growth throughout the 1990s and into the 2000s. Their first purchase came in 1992, when they acquired the United Kingdom’s Novamedix Ltd and their Deep Vein Thrombosis prevention product the A-V Impulse System. The AVI was a significant product for Orthofix for 18 years and was sold in 2010 to Covidian Healthcare. In 1993, they acquired two more British companies, Orthosonics and Colgate Medical. Orthosonics added the development and manufacture of orthopedic devices utilizing ultrasound technology. They established a presence in the U.S. in 1995 by acquiring American Medical Electronics Inc. (AME). The acquisition brought them a new specialty, that of bone growth stimulators and bone substitutes. AME also gave them an extensive sales and distribution network in the U.S. In 2000, they boosted their range of spinal care products again by acquiring Kinesis Medical Inc. Their U.S. expansion took a major step forward in 2004, when they completed the acquisition of privately-held BREG Inc. The California-based bracing and pain management company complemented their focus on the spine, bone reconstruction and trauma sectors and added nearly $60 million in annual revenues.